The LCS, OWL, and Dota 2's Starladder I-League Invitational headline this weekend alongside a number of fighting game tournaments. If you’ve been digging Dragon Ball FighterZ as much as I have, be sure to check out Body Count Fighting 4 going on later today. Week three of the North American LCS starts today at 5:00PM EST with Counter Logic vs. Echo Fox and concludes at 9:00PM with Team Solo Mid vs. Golden Guardians. Matches resume on Sunday at the same time with Echo Fox vs. TSM while Counter Logic and FlyQuest wrap things up at the end of the night at 9:00PM. 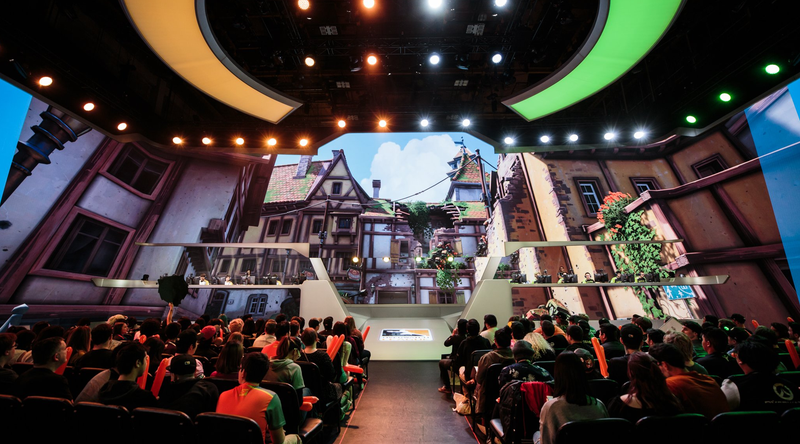 As per usual, OWL rounds out its week with a handful more matches today, including Shanghai Dragons vs. London Spitfire at 2:00PM EST, Dallas Fuel vs. New York Excelsior at 4:00PM, and Boston Updrising vs. Los Angleles Valiant at 6:00PM. A tournament with a name after my own heart, The Gang Hosts a Melee Tournament, will deliver the your Smash Bros. action for the weekend. Doubles began at 11:00AM EST with Doubles while the first wave of Singles kicks-off at 2:00PM. The bracket will then get underway at 6:30PM. The Starladder I-League Invitational has some of the best teams competing this weekend in a $300,000 Minor. Newbee face LGD Gaming in the semifinals at 9:00PM EST tonight followed by Team Liquid vs. Mineski at midnight. Versus 2018 takes competitive Marvel vs. Capcom to Ohio with Marvel vs. Capcom 2 at 12:00PM EST, Ultimate Marvel vs. Capcom 3 at 2:00PM, and Marvel vs. Capcom: Infinite at 4:00PM with everything streaming here. Meanwhile Body Count Fighting 4 will be hosting Street Fighter V, Tekken 7, Injustice 2, and Dragon Ball FighterZ in addition to MvC:I. You can find a list of streams for the different events here. Matches continue today at 5:00PM EST with Team Twelve vs. Gale Force Esports followed by Tempo Storm vs. Simplicity. Then on Sunday at the same times its SpaceStation Gaming vs. Tempo Storm and HeroesHearth vs. Team Twelve.